STD today released its figures on the various downloads of their framework for PowerBuilder, EAServer, Appeon and Web Services. Amazingly, there were over 7,000 downloads of the various flavours of the framework plus documentation, examples and utilities in total for 2013! STD has also received feedback from the PowerBuilder Community on its use and plans for the PowerBuilder.net IDE. Based on this research and actual feedback it is now evident that the PB community in general is not adopting this .Net technology for general use. 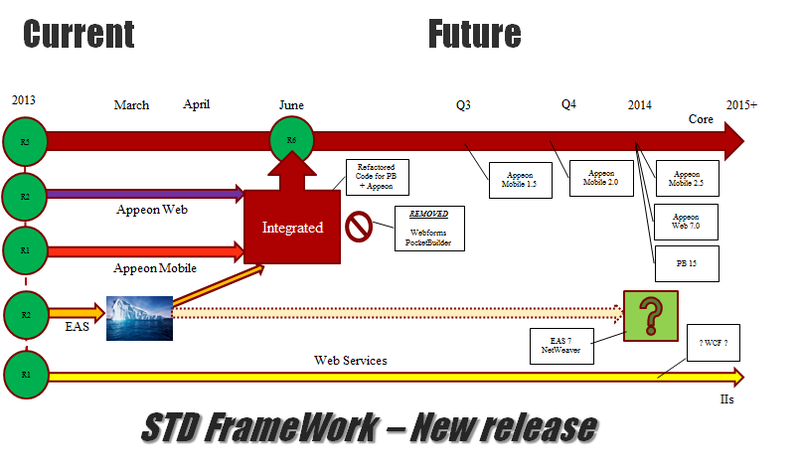 For this reason, STD is announcing the End of Life of the PB.NET version of their frameworks. Instead, based on actual feedback from PB developers, IT shops, etc - STD feels that their best focus of development resources should be on Web Services, PB Classic and Appeon areas as this what the PowerBuilder community is looking for, moving forward. STD is very pleased with how the PB Community has embraced its new Integrated Framework for both PB Classic, Appeon Web and Appeon Mobile. Now the PB developer can build Win32, Winform, Web and Mobile based applications from just one framework source! STD are also very pleased with initial adoption and "use comments" of their new Web Service framework for PB Classic as well.